"The staff is helpful and friendly." "Nice view of the River." 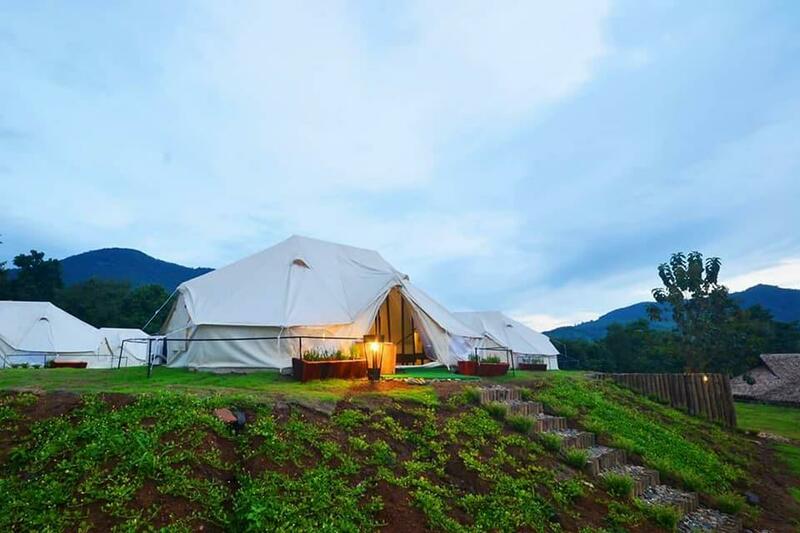 "Staying in the tent in a driving thundershower was fun and v..."
Designed for both business and leisure travel, Chiangkhan River Green Hill is ideally situated in Phu Thok, one of the city's most popular locales. The excitement of the city center is only 6 km away. With its convenient location, the property offers easy access to the city's must-see destinations. At Chiangkhan River Green Hill, the excellent service and superior facilities make for an unforgettable stay. Top features of the property include free Wi-Fi in all rooms, shrine, daily housekeeping, Wi-Fi in public areas, car park. Chiangkhan River Green Hill is home to 51 guestrooms. All are tastefully furnished, and many even provide such comforts as carpeting, cleaning products, complimentary instant coffee, complimentary tea, free welcome drink. 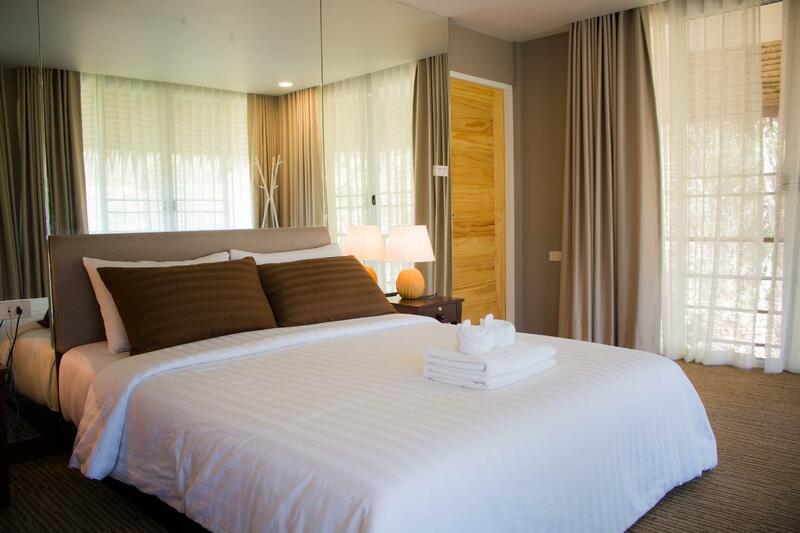 The property's recreational facilities, which include garden are designed for escape and relaxation. With an ideal location and facilities to match, Chiangkhan River Green Hill hits the spot in many ways. "Food in the restaurant was very good and the staff all very..."
good location, wonderful view, great staff, breakfast is soso, room is ok, toilet not good smell . I stayed at Garden View room as we are only two. It’s definitely not “View”. Just surrounding. Room is so small. We only stayed one night but wished we had stayed longer. The villa at the top overlooking a small hill was very nice...especially at nite when the temperature drops. Food in the restaurant was very good and the staff all very nice. I paid about ~ $120 per night for deluxe tent (which is on a peak of the mountain as shown on detail), expecting to experience an amazing and exclusive landscape where as it turned out to be just five steps higher than the normal one and situate just next to the restaurant which was very noisy during eating time. I was quite happy for the breakfast as they provided many different meal and it tasted so good. The toilet was very clean and comfortable unlike the bedroom that I found it was not cleaned properly, there was some dried animal excrement on the floor. The wifi is free but extremely slow. the staff is helpful and friendly. 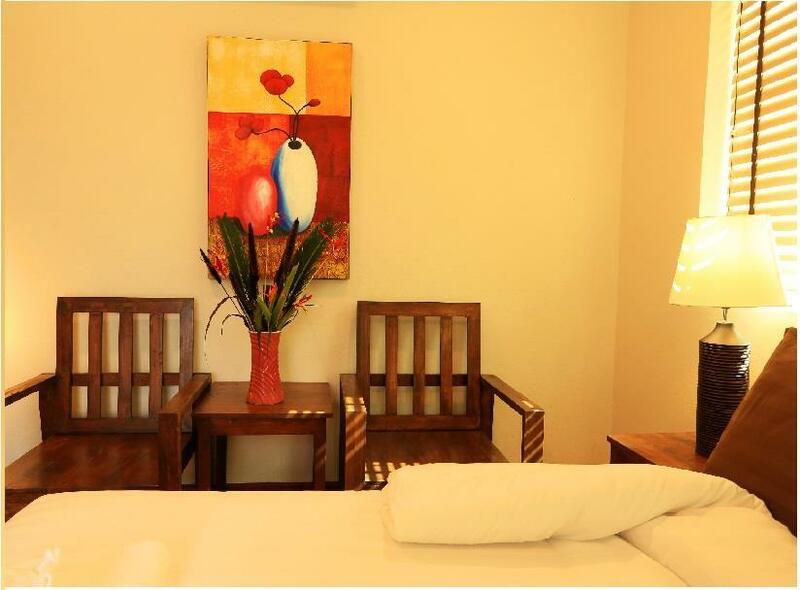 The resort is a good option for those who prefer quiet and private accommodation but not too far from tourist attraction, therefore, it is just about 10-15 min by car to the famous walking street and other tourist visit. Over all, I don't think it's worth the money and probably will not come back again. Nice place, especially when the sunset A little bit far from the Chiang Khan walking street, but the hotel also has the round-trip bus service to go sightseeing and shopping. 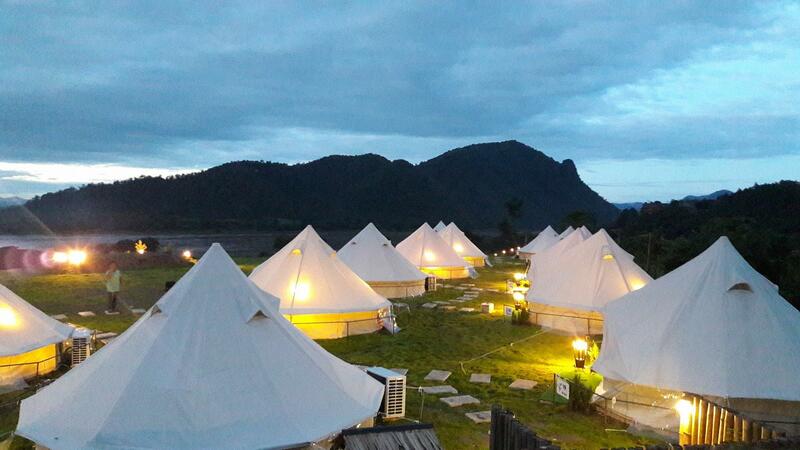 Stay in a tent on a hill overlooking the Mekong ... what’s not to like. The person manning the desk didn’t speak a word of English. Fortunately, my GF is Thai. But it didn’t help. Confusion. The person couldn’t adequately explain basic required details/instructions : where to park, which tent is ours, where are the bathrooms and showers, and more, but I don’t want to pile on. My GF was almost in tears because of the poor customer service. Staying in the tent in a driving thundershower was fun and very romantic. Bed was fine. AC in the tent worked well. The O-dark-30 walk to the Bathroom was a bit of an inconvenience but part of the charm. Breakfast was so-so. Nice view of the River. I would not recommend staying here until the staff is adequately trained and supervised. Original et adepte du camping, j’ai voulu essayer. La vue est sympa, mais le prix est cher par rapport aux jolies guesthouses en deck sur la walking street avec chemin piéton en deck le long du Mékong. Dans la tente , en journée il fait très chaud , et les toilettes et douches sont communes à l’extérieur. Le personnel est par contre très sympathique.